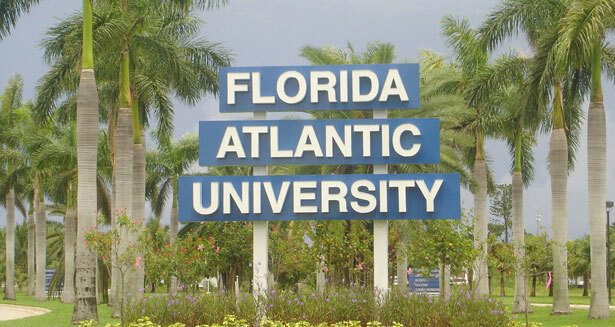 Florida Atlantic University students are saying “no” to renaming the school’s football stadium after a private prison. It also raises the question, in these cash-strapped times, where President Saunders would draw the line if not at GEO Group. Would she have considered an offer to rename the field “Jerry Sandusky Stadium” if offered $7 million? If Larry Flynt had pledged $8 million to call it “Hustler Arena,” does she take a meeting? For many students, the deeply personal disrespect embodied in the taking of GEO Group’s money is no less intense. A number of FAU students are the children of immigrants. GEO Group, as I’ve written elsewhere, is currently bidding to be the state’s private prison of choice, aiming to warehouse the state’s 3 million undocumented immigrants. Incipient immigration reform, it is believed in the industry, will create a massive demand for private detention facilities. It’s viewed that GEO Group’s effort to be the shiny name on the side of the stadium is a form of corporate “sin-washing” that smoothes the transition to GEO Group’s taking on this incredibly expansive role in jailing the undocumented. This movement isn’t stopping despite President Saunders’s most fervent wishes. By, at best, not doing her due diligence or, at worst, valuing the money over any attendant moral or ethical concerns, Saunders has turned the school into a national punch-line. By standing up to this synthesis of football and prison, and GEO Group’s uniquely American horror story, the students are trying to map a different way forward for the university. If it’s remembered as a place where a campus movement was finally launched against the private prison industry and the New Jim Crow, that will be a far prouder legacy than the place that sold their soul for the dirty money of a for-profit gulag.